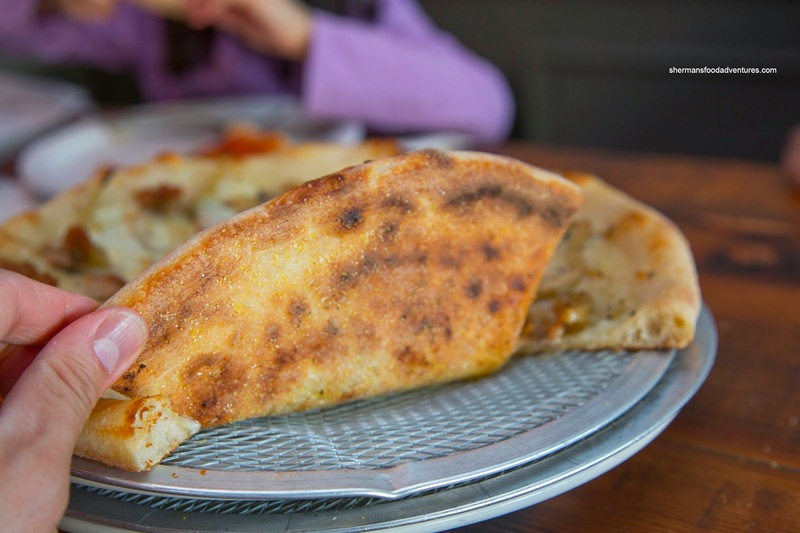 For awhile there, a new Neapolitan pizza joint was opening almost monthly. But in the past year or so, it hasn't been as hectic. Yes, it goes without saying that Vancouver is somewhat of a copycat city where certain fads explode in a short period of time (also see ramen, macarons, sandwiches and donuts). 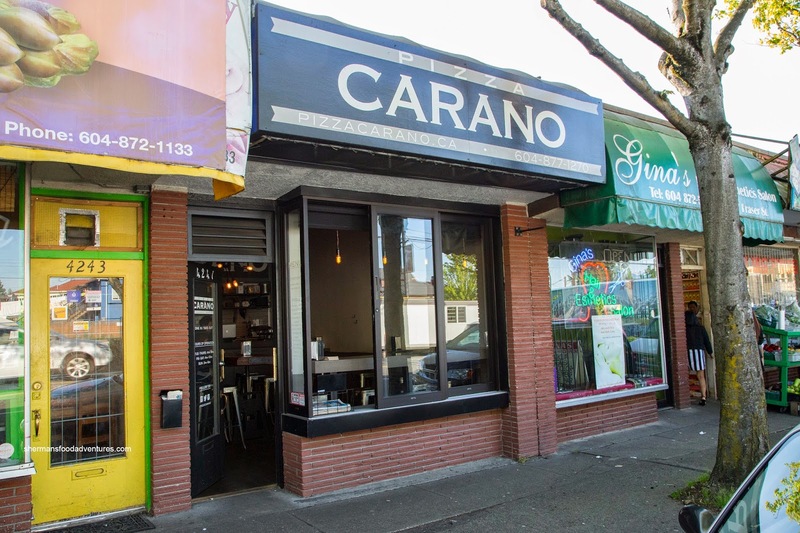 Recently, Pizza Carano has set up shop on Fraser Street, in what is suddenly becoming a hot spot of sorts for eclectic establishments (with Earnest Ice Cream, Jethro's and Graze in the mix). Is it the new Main Street? 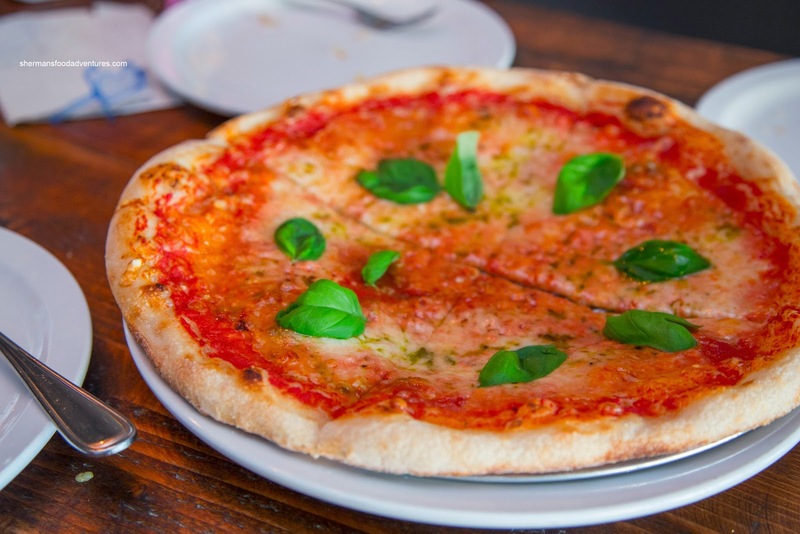 Whatever the case, we headed over to Carano for some eats because the kids wanted pizza. Hey, they didn't specify what kind of pizza, so why not Neapolitan? 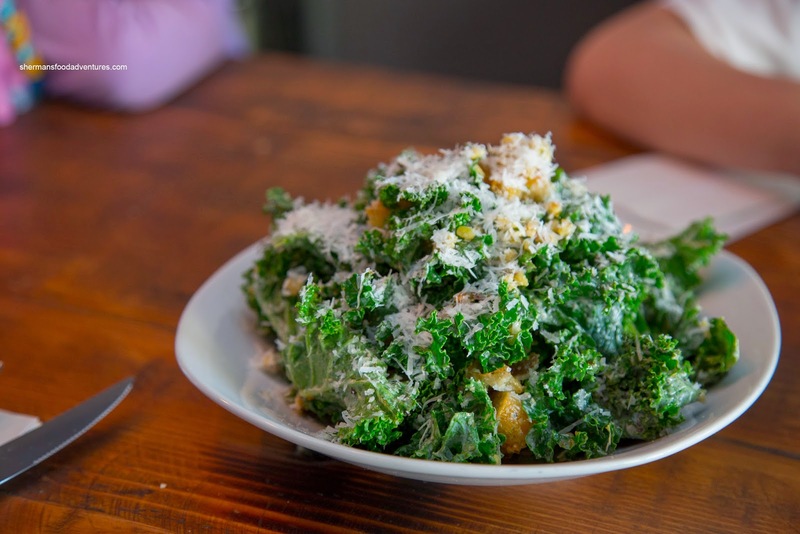 To make ourselves feel better, we started with the Kale Caesar. Correction, Viv and I started with the Kale Caesar... The chances of my son enjoying this salad was as good as a non-contested parking spot in Richmond. Too bad really, as the kale was fresh being tender and not overly chewy. The dressing had big flavours including a nice pepperiness to go with ample Parmesan. We loved the crunchy mung bean bits which added lots of texture. As a baseline, we had to start with the Margherita. With a really crunchy crust giving way to tender centre, this reminded me of Farina (with just a touch less leoparding). However, on the bottom, there was lots of colour adding a nuttiness to go along with the properly seasoned dough. The tomato sauce was muted in acidity while the light drizzle of EVOO along with the fresh basil added aromatics. Next up was the Sausage and Roasted Fennel. Normally, they would top this pizza with arugula, but they had run out for the night. We were not sure if this impacted the final product as it was quite mild in flavour. Rather than a big fennel hit, it was more of a whimper. The same could be said about the sausage as it was meaty, yet lacking in impact. However, the pizza itself was still enjoyable due to the solid crust. 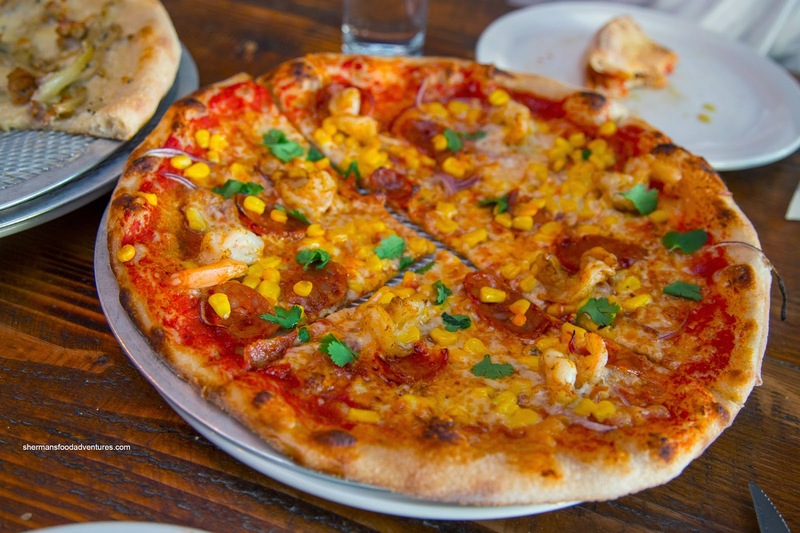 Lastly, we tried the Seafood & Chorizo with spiced tomato sauce, tomato onion, scamorza, prawns, chorizo, corn and cilantro. This was our favourite as there was a multitude of flavours including the sweet pop of corn. The zip and spice from the tomato sauce in addition to the chorizo made for impactful bites. The light smattering of cilantro gave enough without overwhelming. 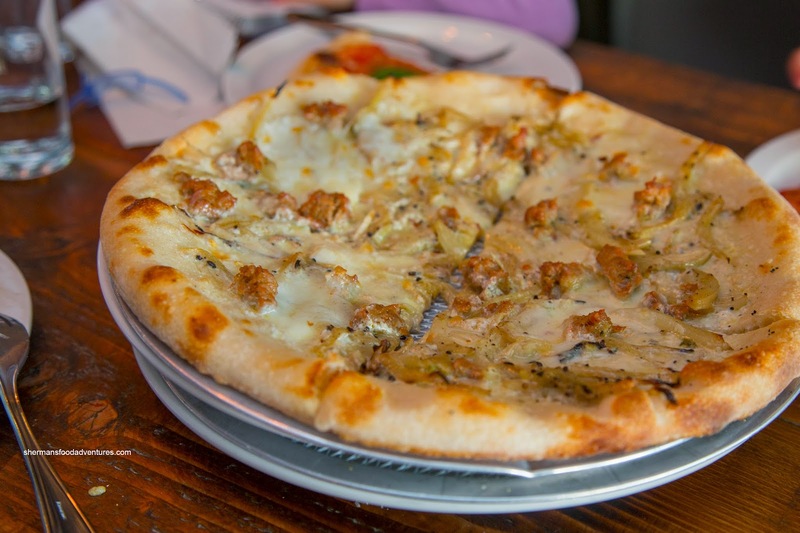 Overall, we found the pizza at Carano to be pretty good. Definitely gives my personal favourite, Pizzeria Farina, a run for its money.